I've just spotted these two 45 minute dramas on Radio 4, based on real-life events, set in Norway and Sweden respectively. Border Country, Northern Ireland, late winter. Samuel Reid has felt a growing sense of foreboding for months. This anxiety brings with it vivid dreams which keep him sleepless. His fears become more concrete when travellers set up camp in a field bordering his farm. The site grows larger and more chaotic. It obsesses Reid along with the idea that the travellers are smuggling tobacco across the border. He contacts the local authorities but the travellers own the land and there are no grounds for their eviction. One night, a man emerges from the shadows of Reid’s farmyard. He says he is a journalist and asks Reid about a young traveller woman who had been working at some of the local farms during the mid-1970s when she disappeared. He shows Reid a photograph of her holding a baby and another of a group of young men in uniform. The uniforms are the same as the one hanging in Reid’s own wardrobe and amongst the young men in the photograph stands Reid’s own brother. Angry, Reid pushes the journalist out, spotting a traveller van at the entrance to his yard as he does so. The van flashes its lights. The journalist leaves with a vague threat and heads towards the van. Inspector Celcius Daly is under investigation at work for his possible involvement in the disappearance of an old spy during his last investigation. The case concerned a notorious Murder Triangle of the 1970s and it left its mark on Daly for another reason – it had included the murder of his own mother. A solitary and isolated man, Daly is currently excluded still further, left swinging his heels on court duty which means standing in for detectives unable to attend proceedings. During one courthouse session his isolation is broken by a woman solicitor who asks for his help. Celcius is nonplussed to find she simply wants him to hold her client’s baby whilst they attend a hearing but he goes ahead and does so. However the next time that this same young solicitor asks Daly for his help is different. Her ten-year-old son has disappeared from her car whilst she delivered some papers to the court. Daly steps in to organise a search and collect potential witness statements. Gradually it appears as though the boy may have gone with his abductors willingly. Why? Who are they? And if he went willingly – where is he now? 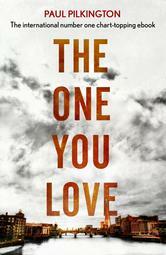 In his Celcius Daly crime novels, Tyrone-born Quinn stakes out two landscapes. The first is that of the dilapidated fields, cottages and blackthorn hedges of rural Northern Ireland full of falling rain and winding tracks which disappear into the darkness of forest and bog-land. His second “landscape” is that of the human ghosts and tragedies behind certain deaths and disappearances in such isolated rural communities. TRESPASS is his fourth Daly novel and it opens with the seemingly contemporary theme of child abduction. But it carries a parallel mystery: the disappearance of a young traveller woman decades before. In investigating both mysteries, Quinn is drawn into the lives and fates of Traveller people both now and during the political disturbances of the Troubles; Daly the outsider is drawn into the lives of these other Outsiders. In the beginning Quinn’s characteristically atmospheric writing almost steals the pace of his story as he writes about Daly himself, his cross-roads isolation, his life at work and at his run-down cottage on the shores of Lough Neagh. But I am quibbling. Because such atmospheric writing also builds suspense and menace in a way that catches me up and has me reluctant to turn the page but sure to do so. And my reluctance is not the dread of brutal violence but a dread of supernatural horror which Quinn brings to his version of Emerald Noir. Once the way of the world and its crime plot is established, Quinn speeds up the pace to such an extent that I chase on through, the straightforwardness of the ending taking me by surprise and leaving me asking questions about the characters that only another book can answer – if it does. 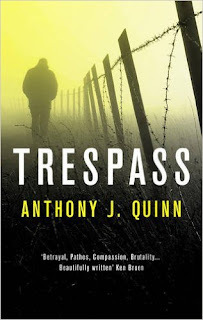 I have enjoyed all of Quinn’s Celcius Daly books, including TRESPASS. Raymond Chandler wrote a famous sentence about the mean streets and the investigator. Well, Daly may not walk down “mean streets” exactly but he is certainly an “unusual” man and a man of “honor”. Long may he and his Gothic setting survive. Today's review is courtesy of CrimeTime's Bob Cornwell, who last year reviewed Charles Den Tex's Mr. Miller translated by Nancy Forest-Flier. 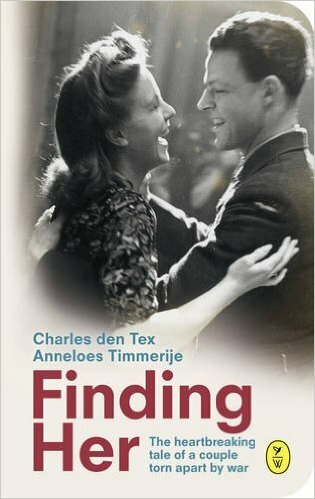 Something rather different from Charles Den Tex, long-listed last year with his first book in English for the CWA’s New Blood Award (ironically, in the Netherlands, his home country, he has been published since 1995). Now, together with his wife Anneloes Timmerije, a journalist and an award-winning writer of literary fiction and historical non-fiction, they have fashioned something beyond the boundaries of the books normally reviewed on this site. It is however an excellent book, and I would hate to see it slip unreviewed between categories, and end up neglected. For it is first and foremost a love story, a true story (its original Dutch title translated as ‘a forgotten story of an unwavering love in wartime’) between Guus Havers, a pilot based in Java in the Dutch East Indies, and his wife Lienke. Guus is inadvertently parted from his wife in the early stages of the Japanese war in the Pacific. A highly regarded pilot, Guus has just transported to Australia a 43-man Army detachment, a group that is planned to lead a later counter-offensive. In his absence, an unexpectedly early attack on Java succeeds in taking over the island. Evacuations are attempted but Lienke fails to gain one of the coveted places. They will remain parted, knowing little or nothing of each other’s circumstances, their longing for each other most movingly portrayed, until the war ends and Guus can finally search for her properly. But it is not simply a love story. Based mainly on Guus’s war-time diaries, it is also a dramatic record of an arena in World War II of which, like me, you may have little knowledge. In Australia the frustrations pile up for Guus: the slowness and inefficiency of the Allied response, the lack of the necessary aircraft (in particular the cherished B-25s), the rivalries amongst the pilots, the boredom. An early exception (crime writer becoming evident? ), a mission back into the combat zone, with a mysterious ‘valuable’ package that goes missing. A little obvious, I thought, but then it turns out (historian also coming to the fore) to be one of three other key elements in the book, throwing light on real-life murky manoeuvrings, one a gross miscarriage of justice, in the war-time history of the area. Guus, for instance, is manipulated to spy for one side in what will turn out to be a political struggle for power in the post-occupation period. In Java meanwhile we experience, through Lienke, the subjugation of the civilian population, later the internment of Dutch and mixed marriage families, and the increasing deprivation within the camps as the war proceeds. All this is conveyed in crystal-clear often moving prose, flawlessly translated in my view by Brian Doyle-Du Breuil. 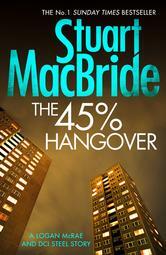 Our authors however have reserved their greatest coup for the last part of the novel, bringing the story up to 1995. A new (unidentified) first-person narrative voice is introduced, interviewing the surviving Lienke, now known as Linda and living in California. Like Robert Wilson’s standalone novel, The Company of Strangers, (though without that book’s all-encompassing and complex spy plot) these later heart-rending chapters suggest that another subject of FINDING HER is what Wilson calls the ’big lives’ of his parents' generation (and dare I suggest, those of both Den Tex and Timmerije?). And it comes with a stunning and poignant last line revelation. Just like a great crime novel. And if you find any of this review intriguing, take a look at this, another eye-witness account, forceful and moving. *I've also added the breakdowns for 2017: ie published in the UK in 2017 (ALL, Anthology, First Novel, Historical, Translated) - NB the Anthology one is currently blank. The Author Websites page now lists 1060 sites. In Bibliographies there are now bibliographies for 2409 authors (12077 titles of which 3035 are reviewed). I've added new bibliographies for: Stephan Abarbanell, Ross Armstrong, Jackie Baldwin, Haylen Beck, Sam Blake, Maria Angelica Bosco, Rebecca Bradley, Steinar Bragi, Graeme Macrae Burnet, Sam Carrington, Clare Chase, E O Chirovici, Angela Clarke, Aoife Clifford, T A Cotterell, Simon Crane, Michelle Davies, Sandrone Dazieri, J P Delaney, A C Efverman, Jim Eldridge, Emily Elgar, Marc Elsberg, David Essex, Hendrik Falkenberg, Agnete Friis, Martin Cathcart Froden, Arjin Gaind, Malin Persson Giolito, Karo Hamalainen, Adam Hamdy, Mark Hardie, Sarah Hawkswood, Lucy V Hay, Chan Ho-Kei, Catherine Ryan Howard, Sanjida Kay, T E Kinsey, Joseph Knox, R J Koreto, Pol Koutsakis, Mary Lawrence, Molly MacRae, Alyssa Maxwell, Kathleen McKay, Andree Michaud, Caroline Mitchell, Anita Nair, James Nally, Graham Norton, Ronnie O'Sullivan, Chris Ould, Nikki Owen, Mary Paulson-Ellis, Steven Price, Jaime Raven, Rachel Rhys, Liselotte Roll, M B Shaw, Asle Skredderberget, Gard Sveen, Theresa Talbot, C J Tudor, Richard Marggraf Turley, Stuart Turton, Sam Wilson and Les Wood. I've updated the bibliographies (ie added new titles) for: Jane Adams, Jussi Adler-Olsen, Catherine Aird, Tasha Alexander, David Ashton, Annis Bell, Matt Bendoris, Mark Billingham, Jorgen Brekke, Simon Brett, Neil Broadfoot, Frances Brody, Christopher Brookmyre, Gordon Brown, Alison Bruce, Fiona Buckley, Sheila Bugler, Michel Bussi, Andrea Camilleri, M J Carter, CJ Carver, Jane Casey, C S Challinor, Ed Chatterton, Ann Cleeves, Martina Cole, John Connolly, Sheila Connolly, Lesley Cookman, Paul Cornell, Deborah Crombie, A J Cross, Judith Cutler, Lisa Cutts, Arne Dahl, K O Dahl, Paula Daly, Augusto De Angelis, Oscar de Muriel, Julianna Deering, Hannah Dennison, P C/Paul Doherty, Eva Dolan, David Downing, Carola Dunn, Matthew Dunn, Kjell Eriksson, Charles Finch, Christopher Fowler, Pascal Garnier, Phyllis Gobbell, Andrew Grant, Alex Gray, Susanna Gregory, Mari Hannah, Cora Harrison, Cynthia Harrod-Eagles, Annie Hauxwell, Elizabeth Haynes, Veronica Heley, Mandasue Heller, Sarah Hilary, Matt Hilton, Anne Holt, Alex Howard, Graham Hurley, Gary Inbinder, Arnaldur Indridason, James H/James Jackson, Bill James, P D James, Hanna Jameson, Diane Janes, Doug Johnstone, Ragnar Jonasson, Will Jordan, Alan Judd, Jessie Keane, Erin Kelly, Simon Kernick, Philip Kerr, Vaseem Khan, Laurie R King, Roberta Kray, Lynda La Plante, David Lagercrantz, Stephen Leather, Adam Lebor, Leena Lehtolainen, Catherine Lloyd, Shona/S G MacLean, Susan Elia MacNeal, Adrian Magson, Barry Maitland, Karen Maitland, G M Malliet, Scott Mariani, David Mark, Edward Marston, Andrew Martin, Priscilla Masters, Peter May, Luke McCallin, Andy McDermott, Claire McGowan, Andy McNab, Deon Meyer, Mark Mills, Thomas Mogford, Susan Moody, Mandy Morton, Fiona Mountain, Amy Myers, Barbara Nadel, Jo Nesbo, Chris Nickson, Hilary Norman, Martin O'Brien, Nick Oldham, Fredrik T Olsson, James Oswald, Chris Pavone, Caro Peacock, Anne Perry, Sarah Pinborough, Sheila Quigley, Anthony J Quinn, Deanna Raybourn, Mary Reed and Eric Mayer, Kate Rhodes, Phil Rickman, Rosemary Rowe, Pauline Rowson, Michael Russell, Leigh Russell, Rob/Robert Ryan, Simon Scarrow, Gerald Seymour, William Shaw, Paige Shelton, Stav Sherez, Mel Sherratt, Jeffrey Siger, Yrsa Sigurdardottir, Frank Smith, Jo Spain, Anton Svensson, Lesley Thomson, Helene Tursten, L C Tyler, Fred Vargas, Alex Walters, Sarah Ward, Ashley Weaver, Kerry Wilkinson, Jake Woodhouse, A J Wright, Felicity Young and Joakim Zander. It's time to consider the titles eligible for the 2017 CWA International Dagger. Here's the list of translated crime novels published between 1 April 2016 and 31 March 2017 ie the period of eligibility. There's 100* so far. In addition to the list I have set up a Good Reads widget on the right-hand side of the blog. This allows the covers to be visible plus you can add them to your wish-list on Good Reads. Should you wish to, you can subscribe to this list through RSS. 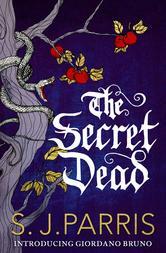 I've used the original cover if the English one isn't on Good Reads yet. *this total includes titles published by AmazonCrossing. I am not sure if these count as UK publications however I imagine people interested in this list will also be interested in these books. This is the second book in the series featuring Captain Damian Seeker, a soldier in the army of Oliver Cromwell, newly appointed the Protector of England. 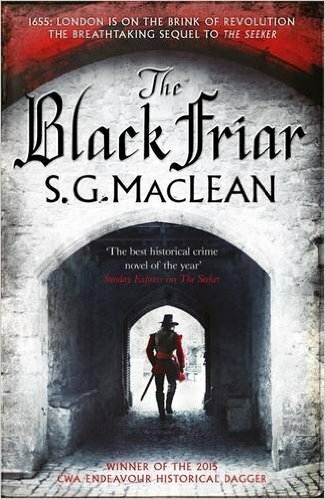 One of the spies in the employ of Oliver Cromwell's secret service has been found dressed as a Black Friar and walled up - alive - in a church. Seeker is tasked with solving his murder and also finding the sensitive information he was tracking. Seeker is well known in London for his uncompromising belief in Oliver Cromwell and he is feared for his relentless searching out of Royalists and other enemies of the new State. There is concern that someone in the department is working against the Protectorate, so Thurlow, Seeker's superior, asks him to search out the truth quietly and discretely. One of the suspects is Lady Winter, a known Royalist, who coincidently asks Seeker's help in finding a young servant girl, Charity, who has disappeared. Seeker discovers that Charity is not the only young and attractive person who has recently disappeared. He finds that both the Royalist factions and former Cromwell supporters who believe that his reforms have not gone far enough are plotting against the Protectorate and his investigations of the murdered spy and the missing young people start to have strands in common. I really enjoyed this book. It is an interesting period of English history and one I knew only the basics about. I found that the background given about Cromwell's followers, who felt he was too tolerant and wanted to bring him down and impose a much more fervent religious belief system on the country, seemed particularly relevant today. For anyone who enjoys reading historical crime - particularly the C J Sansom series featuring Shardlake - I am sure they will enjoy this. There is the same depth of knowledge of period through the book which gives the right level of historical background without slowing the story down. Here's a snapshot of what I think is published for the first time in December 2016 (and is usually a UK date but occasionally will be a US or Australian date). December and future months (and years) can be found on the Future Releases page. If I've missed anything do please leave a comment.